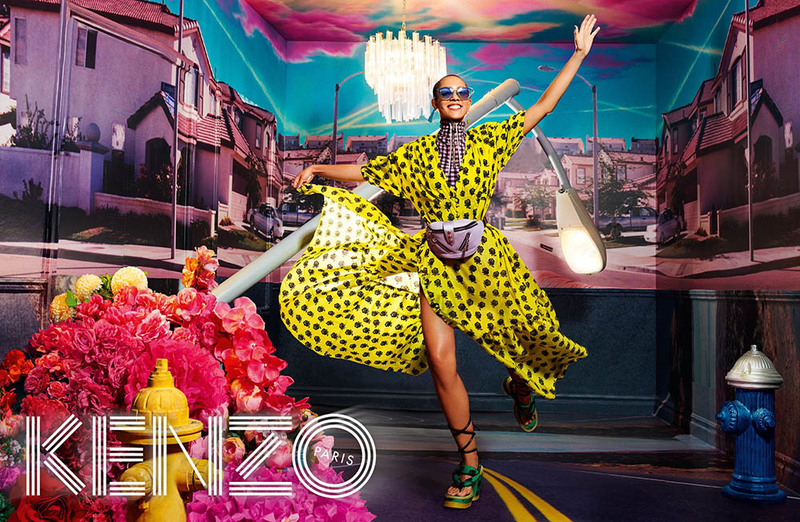 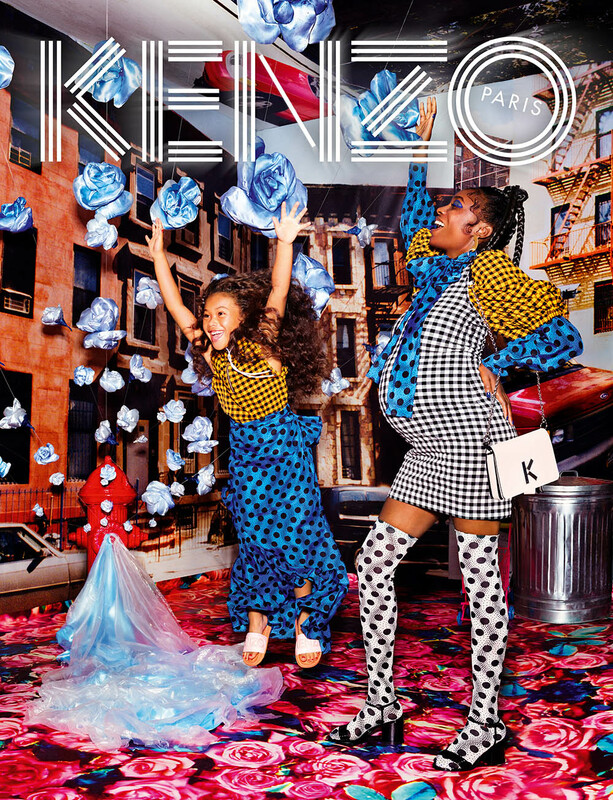 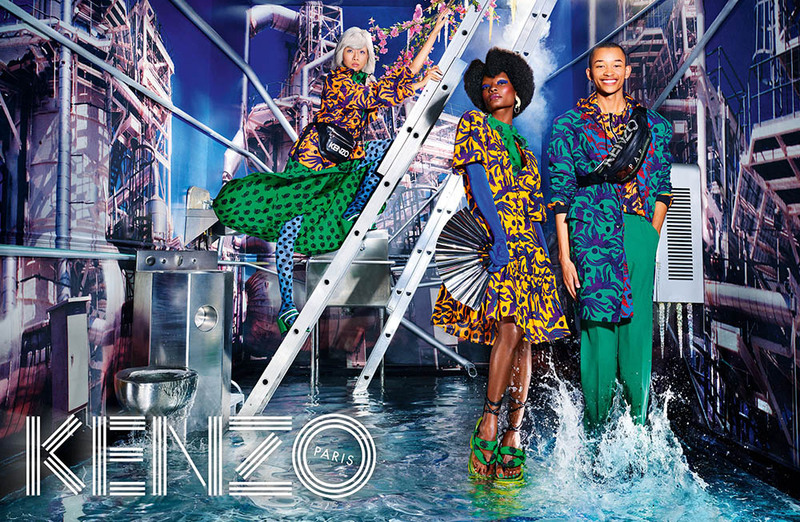 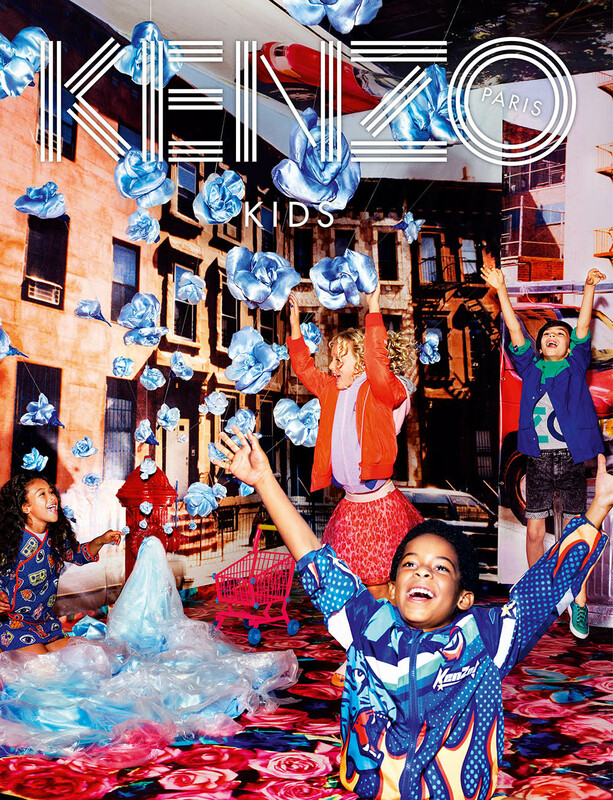 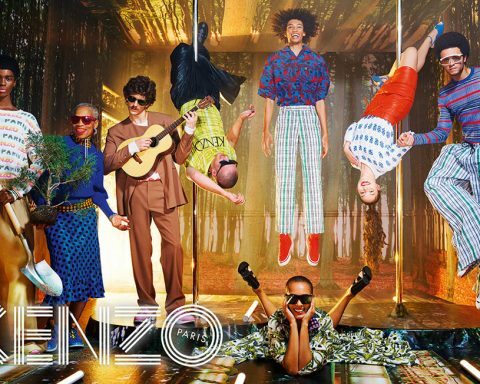 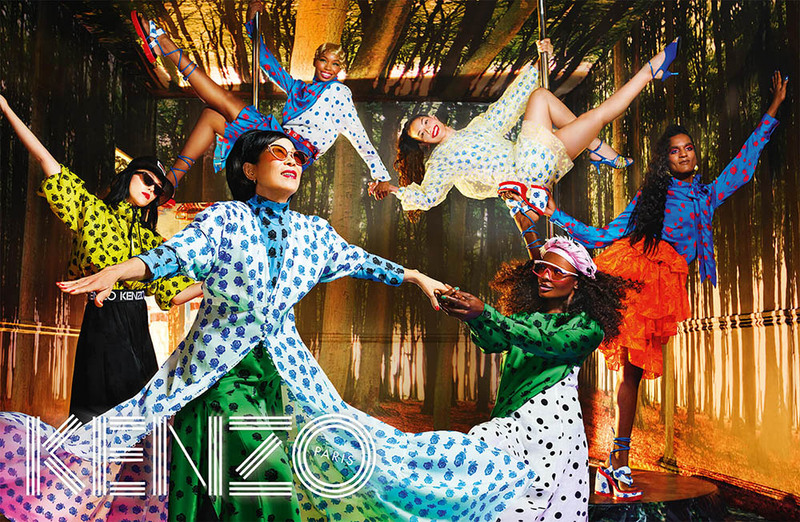 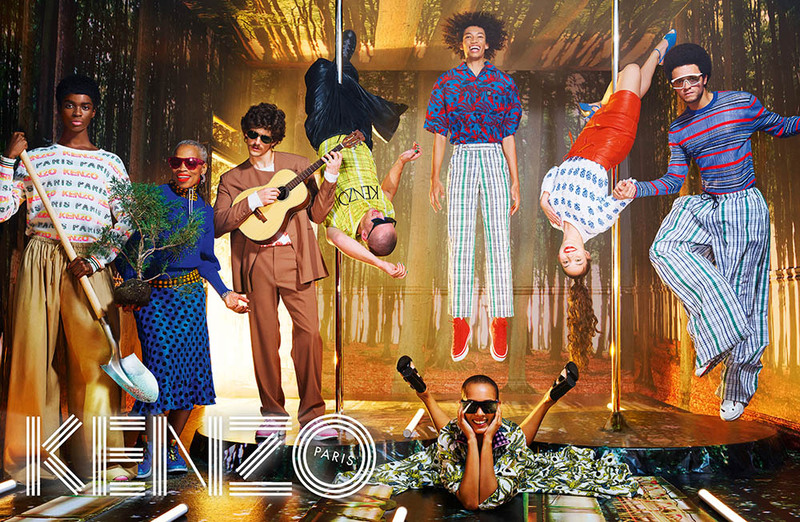 Kenzo co-creative directors Humberto Leon and Carol Lim turned to one of their favorite photographers/filmmakers David LaChapelle to shoot a series of colorful images intended to convey the message of utopia for the Kenzo Spring/Summer 2019 campaign. 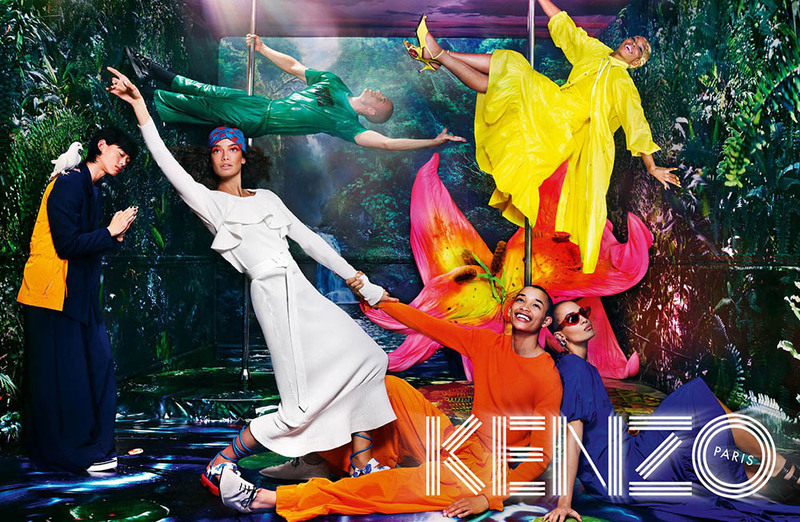 Entitled ‘’Kenzotopia’’, the campaign uses a splash of vibrantly colored streetscapes, urban apartments and outdoor imagery to get the message across. 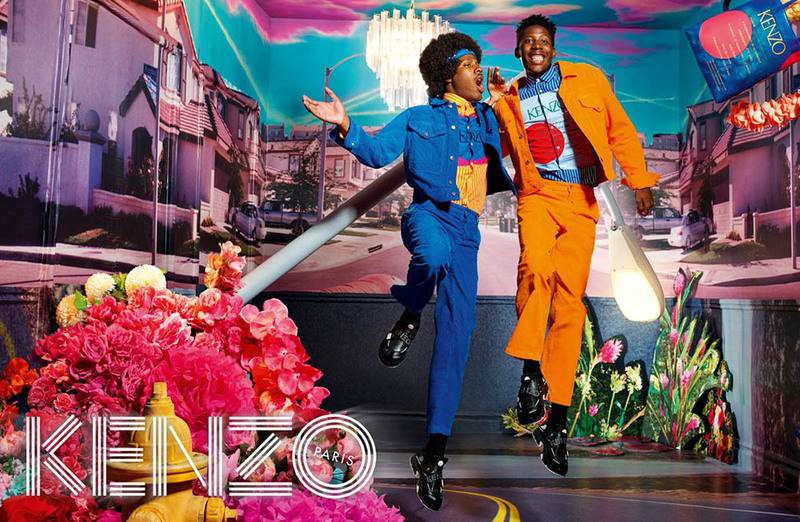 The photos, which were taken in LaChapelle’s Los Angeles studio, feature models and local dancers, musicians, and students including Zane Alexandre, Alyson Cai, Quinn Falls, Guetcha Good, Jalin Gordon, Asia Grey, Savannah Harrison, Devin & Gaberial Higgins, Jae Won Kim, Andre Lamone, Alton Mason, Nadja Marinkowic, Karen McDonald, Sam Ortiz, Jasmine Sandoval, Richie Shazam, Evelyn Wander Wende, Sydney Wiley, and Humberto’s mother Wendy Leon. 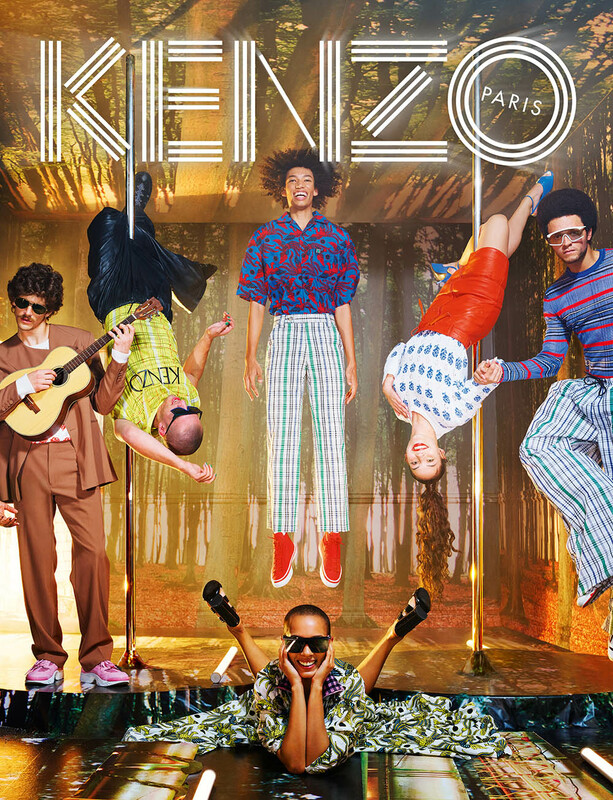 In charge of styling was Anna Trevelyan, with set design from Jack Flanagan. 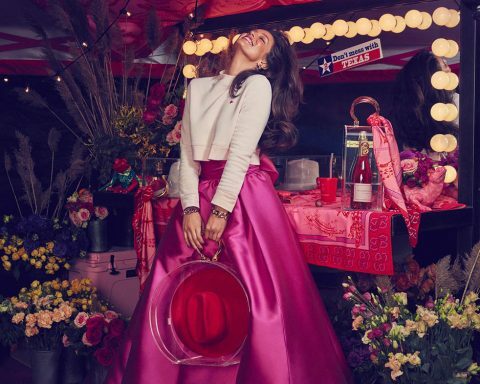 Beauty is work of hair stylist Laurent Philippon, makeup artists Sarah Tanno and Dana Delaney, and manicurist Naomi Yasuda. 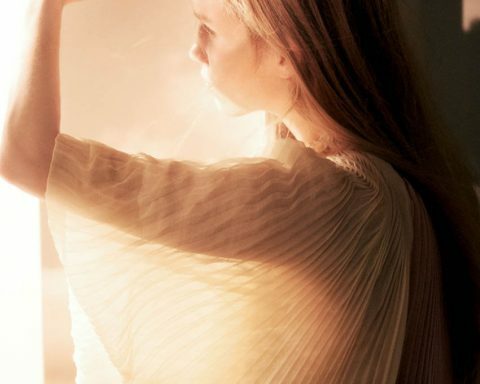 Casting direction by The Secret Gallery, Samantha Blake Goodman, Bok Creative, with production from CXA, Inc.